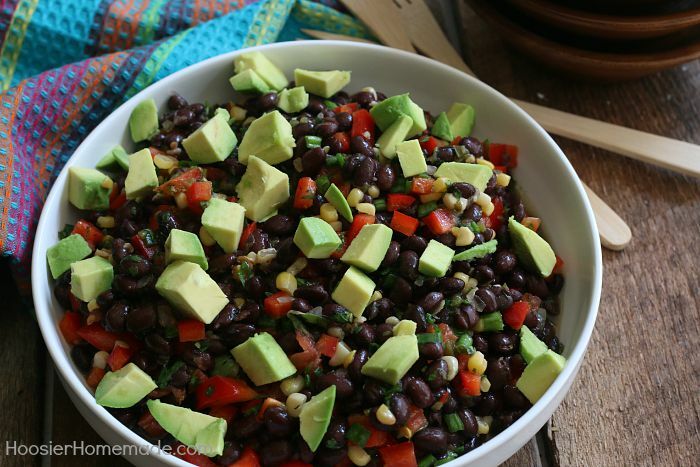 This Black Bean and Corn Salad couldn’t be easier! 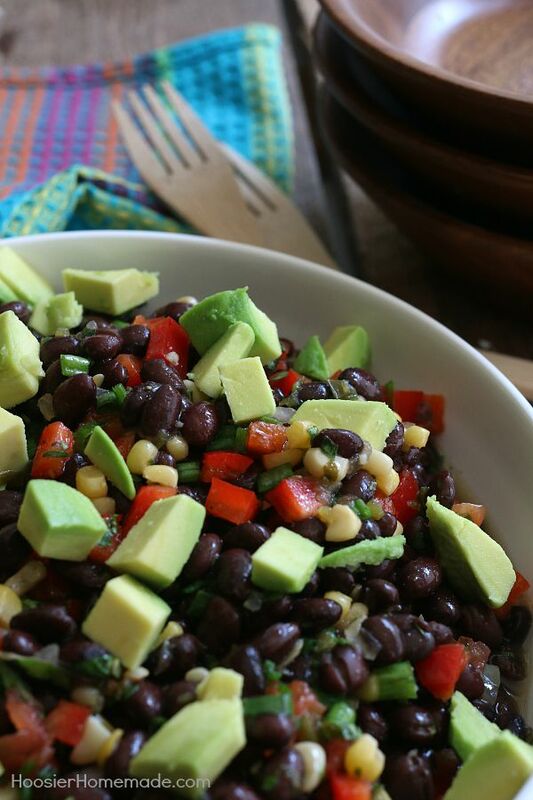 With just a handful of ingredients, this delicious salad goes together in minutes! Perfect for parties, potlucks, tailgating, cookouts and more! As we approach the end of the Summer, I am a bit sad. It happens every year, and every year I tell myself that I’m going to spend more time in the sun during the Summer. This year, I actually did spend more time outside than the last couple of years, but somehow it never seems to be enough. Especially when you look back and realize how fast time goes. Although I love spending time in the kitchen, any time of year, what I love more is spending time with my family and being outside. So having a quick go-to salad that I can whip together in minutes is perfect. 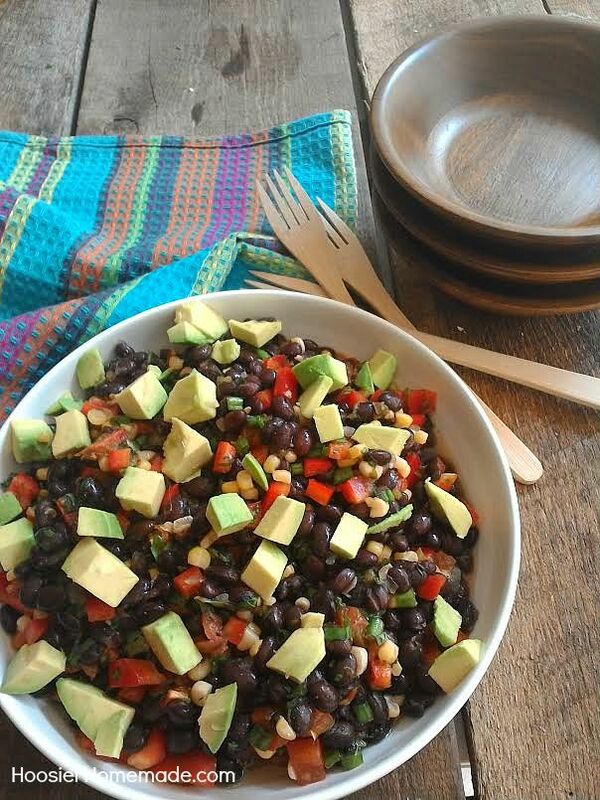 One of the nicest things about this Black Bean and Corn Salad is that you can make it any time of year. The ingredients are easily available at your local grocery store. 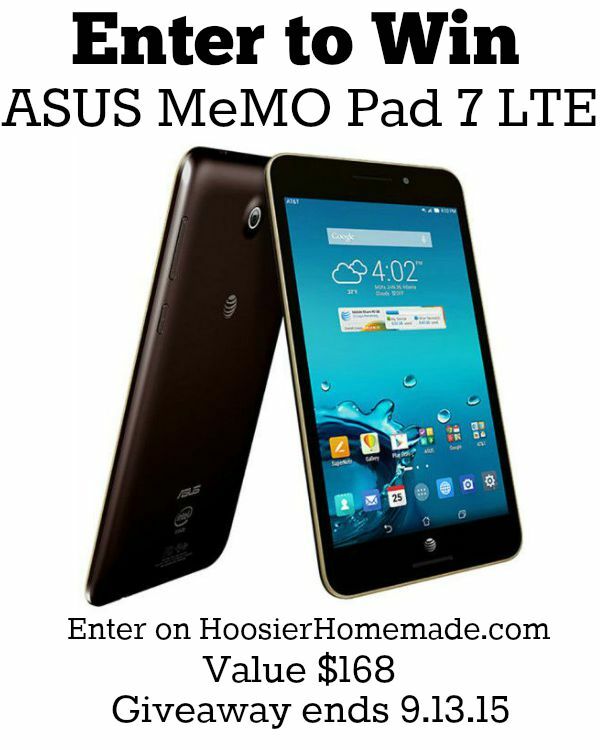 We recently had the opportunity to give the ASUS MeMO Pad 7 LTE a try. What better way to put it to the test than to take photos with it? With the popularity of Instagram and all the beautiful photos, everyone wants to share photos of their family, vacations, food they are enjoying and more. 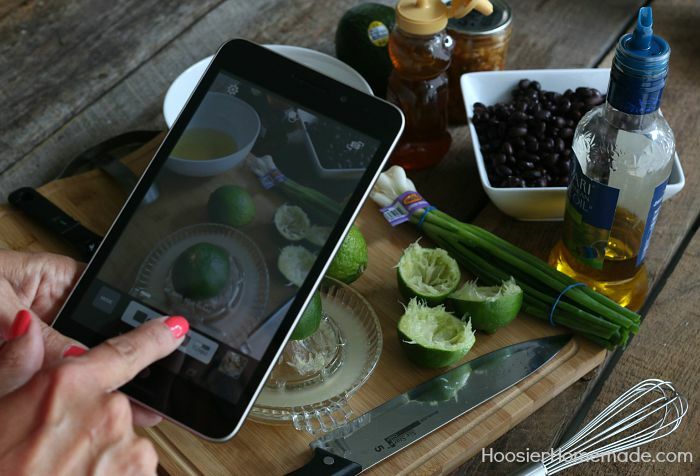 By putting the world in your hands, photos aren’t the only thing this tablet features. The AT&T 4G LTE network provides speed and reliability at your fingertips. This 7” HD tablet with dual front facing speakers and 178-degree wide viewing angle, perfect for watching movies, playing games etc. It has 16GB internal storage w/ up 64GB MicroSD Card Support and up to 10.5 hours of usage time. So what does all that mean? Well, let’s put the ASUS MeMO Pad 7 LTE to test and whip up the Black Bean and Corn Salad. Each of the following photos were taking with the tablet. 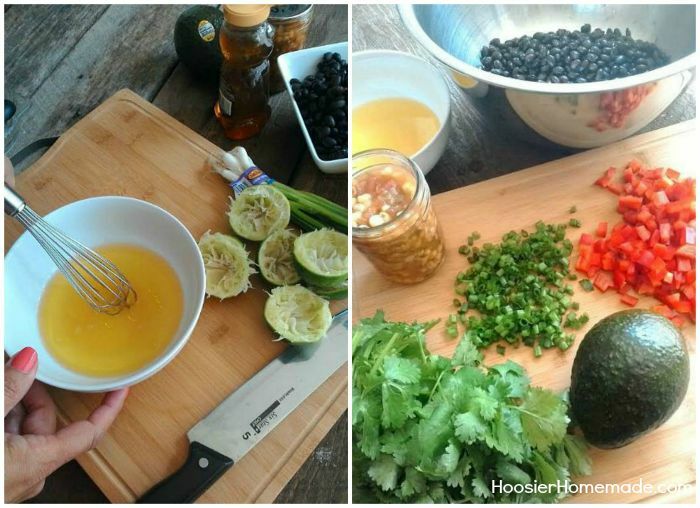 First you will want to make the dressing. Add the oil to a bowl, then add the honey. 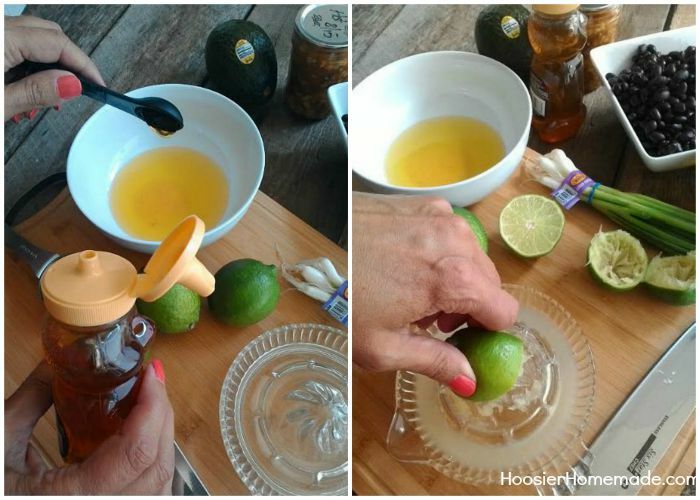 Squeeze 3 limes, and add to the bowl. Whisk the dressing and set aside. Now it’s time to cut the green onions and red bell pepper. 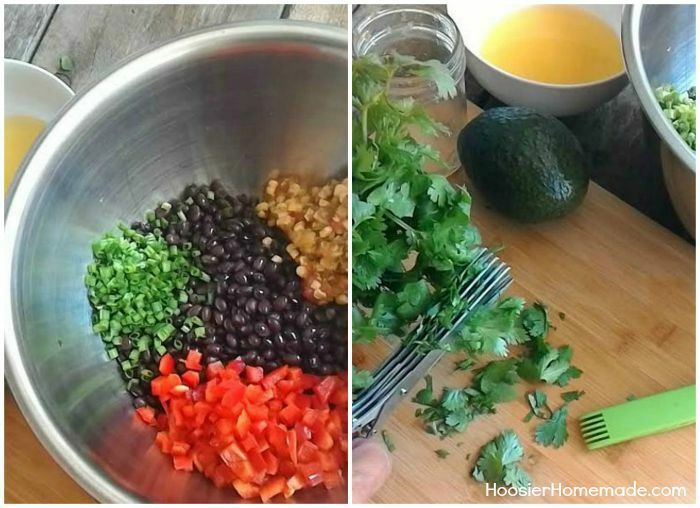 Start by rinsing the black beans and adding them to a large bowl. For the corn, we used our Spicy Corn Salsa that we canned. 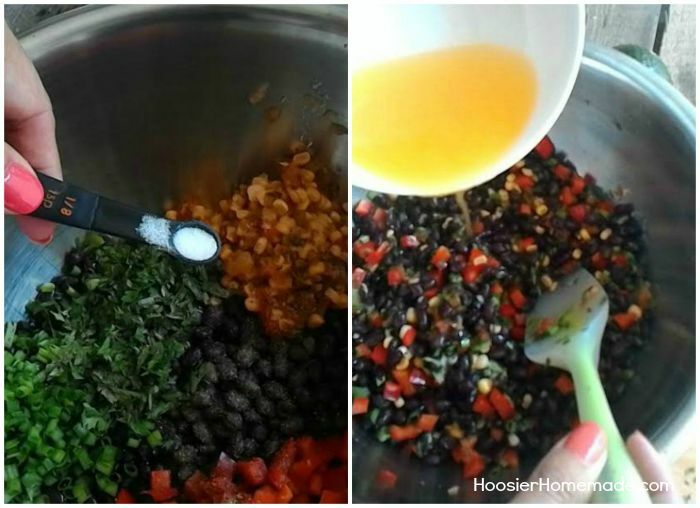 If you aren’t interested in canning the Corn Salsa, you can still follow the recipe and use it fresh. Or you can use frozen corn in it’s place. Add the vegetables to the bowl. Then cut the cilantro. I used the 5-Blade Herb Scissors, they make quick work with cutting herbs. Sprinkle the salad with salt and pepper. Then drizzle on the dressing and mix in. It’s that easy. And here is the final photo taken with the ASUS MeMO Pad 7 LTE. I think it’s pretty fun to use myself, but would also be perfect for kids or teenagers. And you know, Christmas is right around the corner. Are you ready to give the ASUS MeMO Pad 7 LTE a try? We have an exciting Giveaway for you! Abbreviated Rules: NO PURCHASE OR PAYMENT OF ANY KIND NECESSARY, A PURCHASE OR PAYMENT WILL NOT INCREASE YOUR CHANCES OF WINNING. The Giveaway starts on 9.4.15 and ends on 9.13.15. Open only to legal residents of the 50 U.S./D.C. and 18 years or older as of time of entry. Residents of P.R. are ineligible. Void in P.R. and where prohibited. 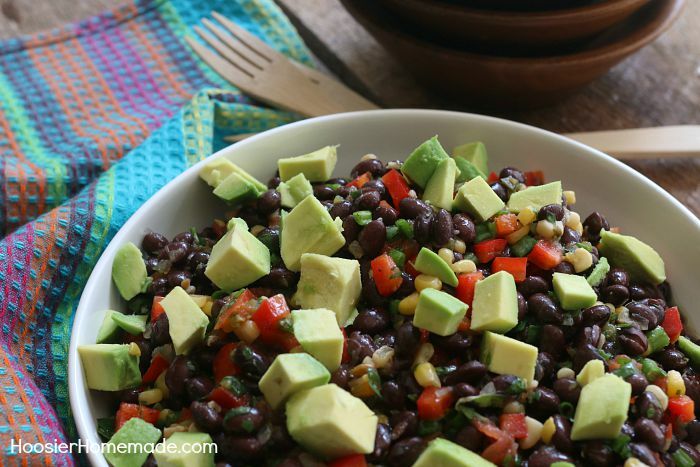 This Black Bean and Corn Salad couldn't be easier! 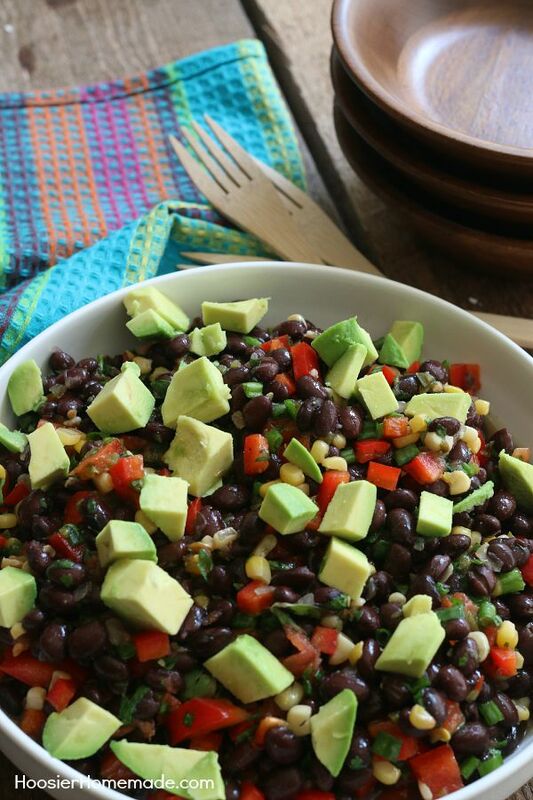 With just a handful of ingredients, this delicious salad goes together in minutes! Perfect for parties, potlucks, tailgating, cookouts and more! Mix dressing and set aside. I love a tablet for checking emails! This looks like a great salad. I bet it would be great in a wrap!